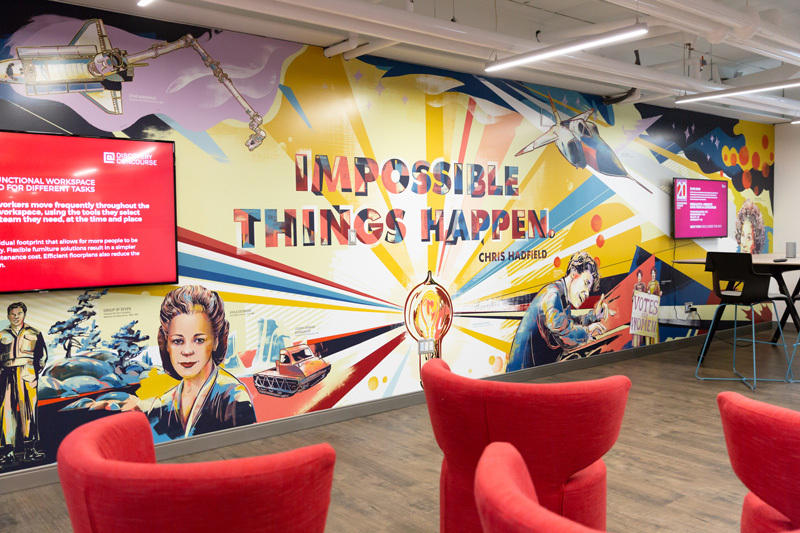 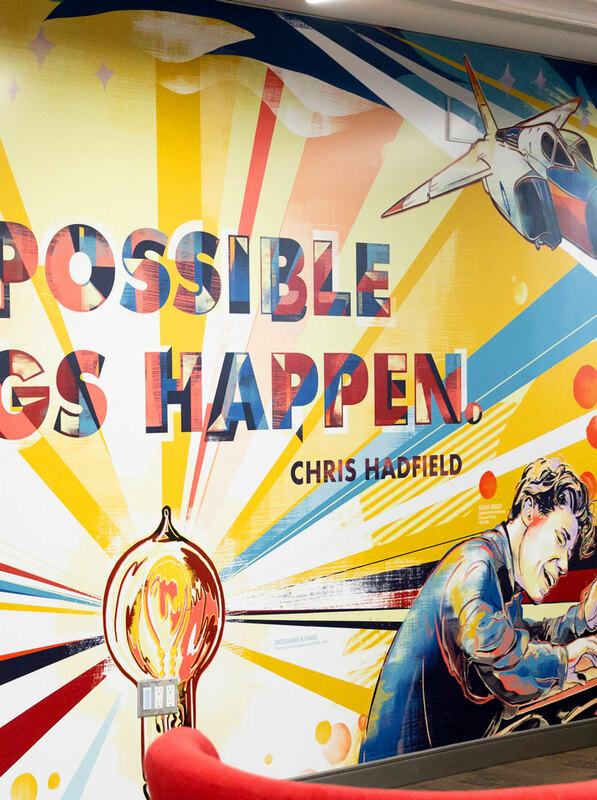 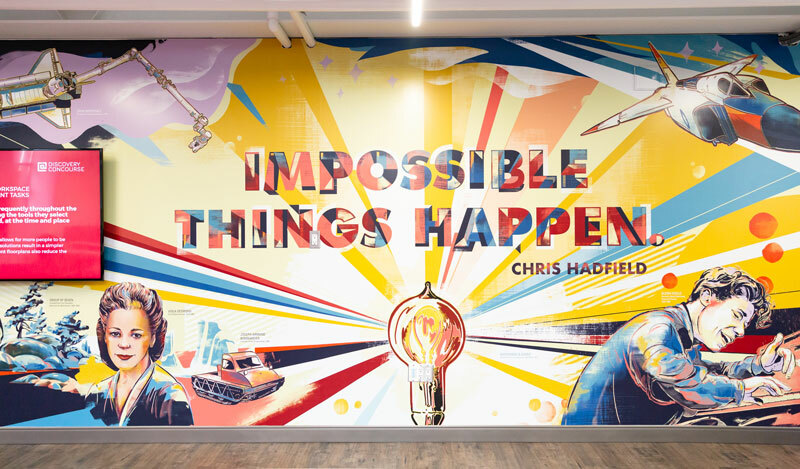 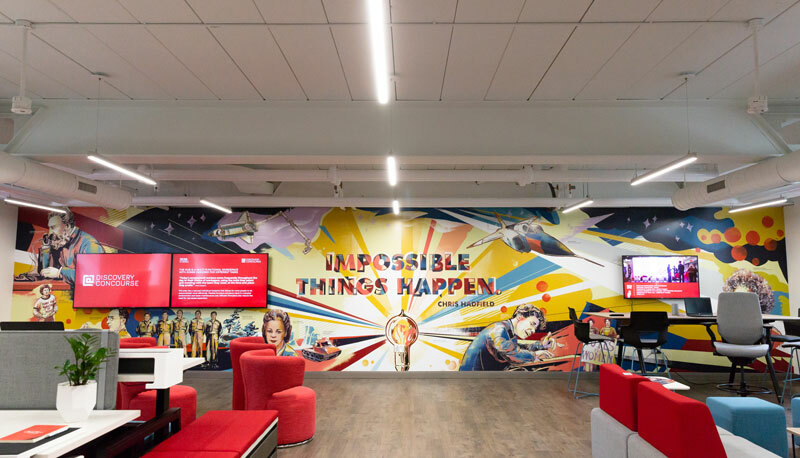 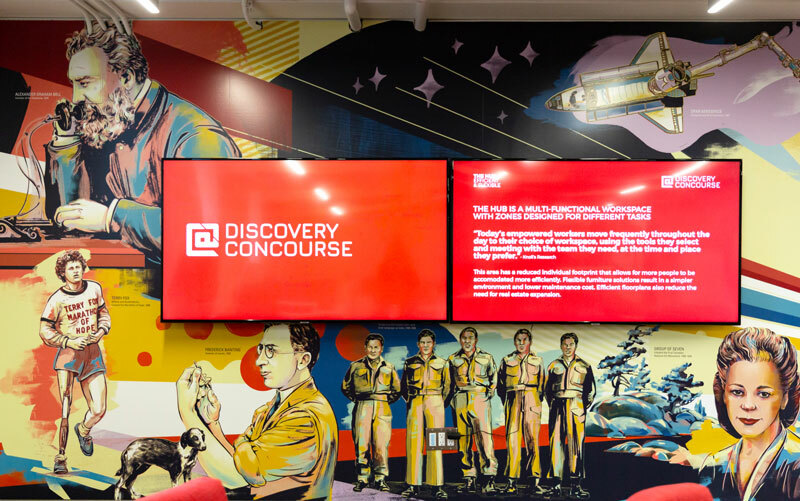 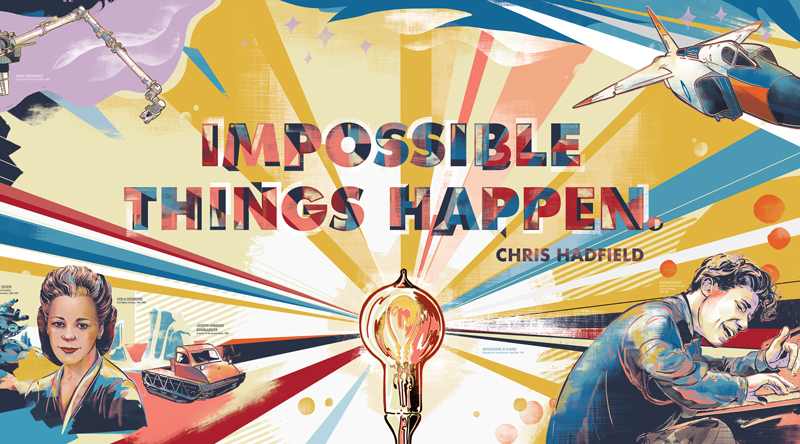 Mural for Gore Mutual, inspired by Canadian innovation and the wonderful Chris Hadfield quote “Impossible Things Happen”. 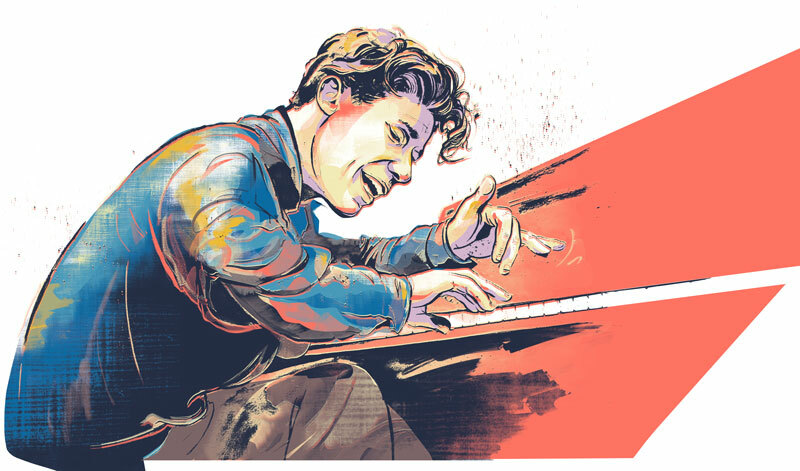 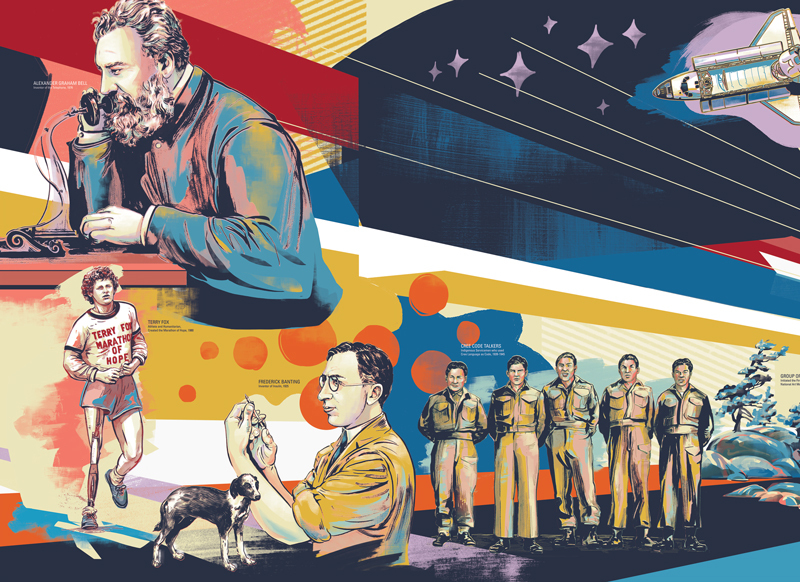 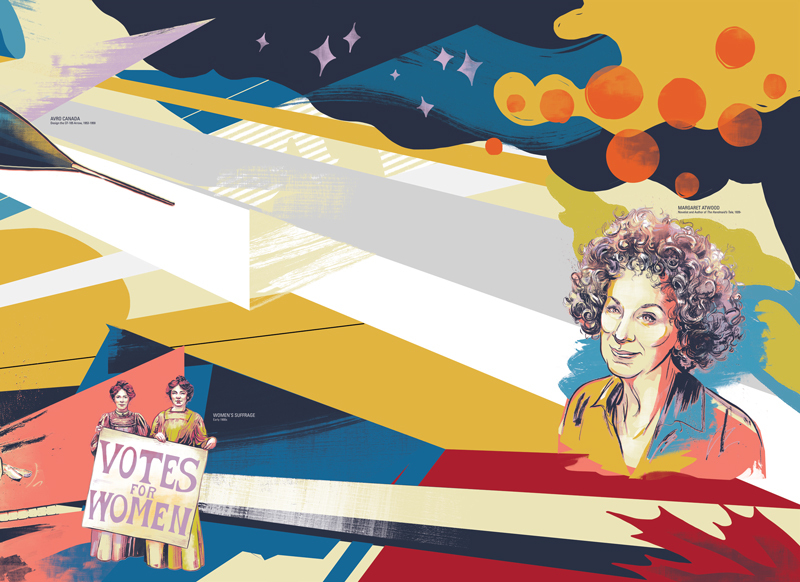 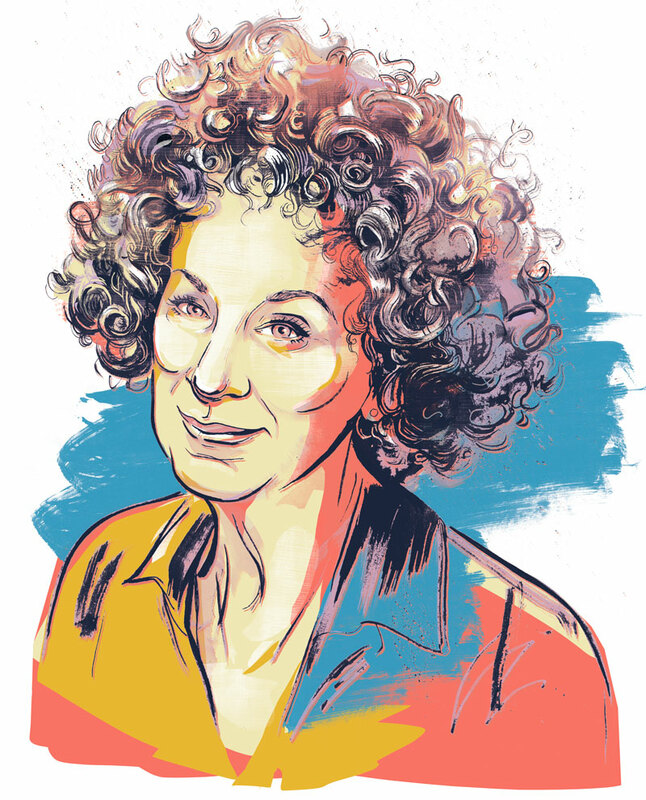 Created digitally and measuring approximately 39′ x 9′, the mural includes: Alexander Graham Bell, Terry Fox, Viola Desmond, Cree Code Talkers, Margaret Atwood, Frederick Banting, the Avro Arrow, Joseph-Armand Bombardier, CanadARM, Women’s Suffrage, Glenn Gould, Woodward & Evans and the Group of Seven. 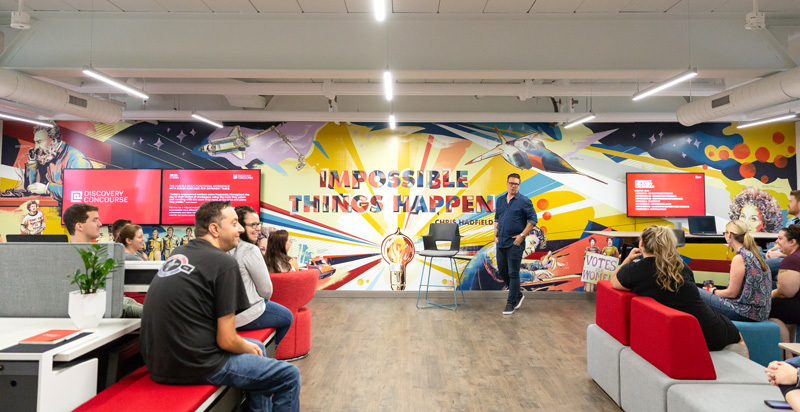 Photography by Lemon Lime Media.